Legends In Steel Medieval Wire Wrapped & Damascus Steel Sword | BUDK.com - Knives & Swords At The Lowest Prices! 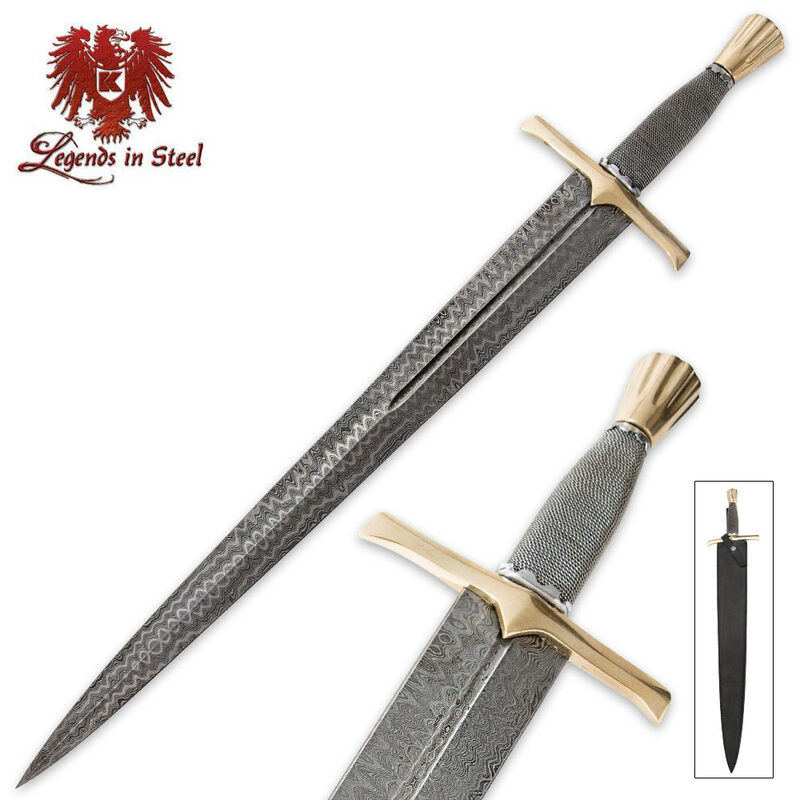 Legends In Steel delivers once again with this top-quality Medieval Wire Wrapped Damascus Steel Sword featuring a heat-forged 22-3/4" Damascus steel blade. The double-edged blade is razor sharp with a heavy blood groove. The oversized brass guard protects your hand from slipping to the powerful blade, and the wire-wrapped handle is completed by a decorative brass pommel. Store and carry it in the included leather scabbard.